If you have been given the responsibility to sell a home through probate or trust there are many things to consider. Right now, I want to talk about one. There are many right answers to this question, and a few wrong ones as well. Let’s discuss. First of all, many homes that are in probates are trusts have been well used. There are often deferred maintenance issues as well as great cosmetic challenges. If your probate or trust home is in beautiful shape you can skip this blog post. If not, which is more likely, please read on. The most important thing to remember is that you should not fix structural problems, just disclose them. The reason for this is that the estate will become responsible if you do something like re-pipe the home, put on a new roof, or upgrade the foundation. If the contractor does something incorrectly, or without needed permits, the liability to the estate will be on your hands. 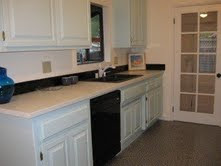 So just get the home inspected and let the potential buyers know what they are getting into. That said, these homes are often dirty, smelly, ugly, or just outdated. Very often home appearances are ignored during the end of an owner’s life. It is totally normal and not a moral flaw on anyone’s part, so don’t worry about snarky neighbor, buyer, or agent’s comments if they occur. It is perfectly ok, and even beneficial to do some cosmetic upgrades and staging. It is amazing what paint, removing old carpet, and replacing lights and electrical faceplates can do. Paint and an air filter can even help remove the smell of cigarette smoke. If the home has carpets with smoke smell they will have to be removed. Old fashioned drapes can be removed and modern, inexpensive ones from places like Bed Bath & Beyond can be used. 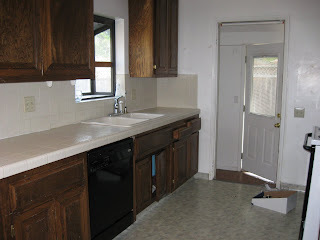 The kitchen can have old cabinets painted and new hardware installed for a whole new look. Staging is essential and can really change the feel of a home from old and dated to “I can live here.” It does not even have to be in every room, but if you can do the living room and one bedroom even that is a help. There are plenty of investors in the market who will want to purchase a probate for as little money as possible, but you also want to appeal to the buyer looking for a home to live in. a much better price for the estate. Please feel free to contact me if you have any questions about probate or trust sales. I would love to hear from you.